"Just walking around in my mansion, in the woods, in my robe…" Oscilloscope Labs has released the full trailer for indie film The Alchemist Cookbook, from director Joel Potrykus who last made the cult hit Buzzard. This film is about a young outcast named Sean, played by Ty Hickson, who is holed up in a trailer in the woods with "The Alchemist Cookbook" and his cat trying to devise twisted schemes for vanquishing his enemies. After going too far with a recipe, he "awakens something far more sinister and dangerous". There's some funky footage in this trailer, but the best part is the quote from Variety about "if you only see two American indie features co-starring Satan this year…" You have to appreciate a unique trailer like this. You can still watch the first teaser trailer for The Alchemist Cookbook here, to compare these trailers. Young outcast Sean has isolated himself in a trailer in the woods, setting out on alchemic pursuits, with his cat Kaspar as his sole companion. Filled with disdain for authority, he's fled the daily grind and holed up in the wilderness, escaping a society that has no place for him. But when he turns from chemistry to black magic to crack nature's secret, things go awry and he awakens something far more sinister and dangerous. The Alchemist Cookbook is both written & directed by American filmmaker Joel Potrykus, of the films Buzzard and Ape previously as well as a number of shorts. This first premiered at the SXSW Film Festival earlier this year. 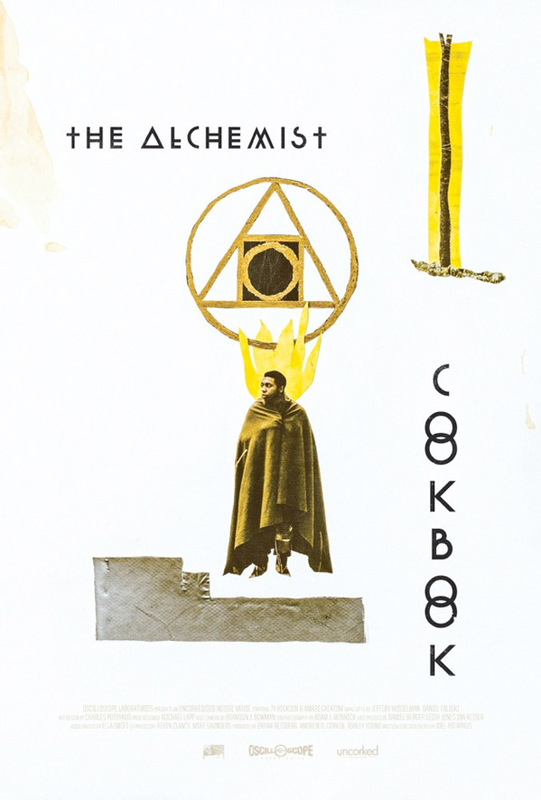 Oscilloscope will open The Alchemist Cookbook this fall, but no date has been set. Actually quite like the look of this. Reminds me of a few people I grew up with who became Alchemists, well, mentally ill.
LOL... I dig that poster though. Style over substance? Style IS the substance.